ARE, Sweden (AP) — Ryan Cochran-Siegle kept up a family tradition by getting in contention for a medal at the skiing world championships on Monday, placing second after the downhill portion of the Alpine combined. The 26-year-old American was 0.03 seconds behind Dominik Paris, who has already won the super-G at the championships. Aleksandar Aamodt Kilde was 0.38 behind Paris in third place ahead of the slalom leg of the event. Cochran-Siegle is from the “Skiing Cochrans” family. His mother, Barbara Ann, won the slalom at the 1972 Olympics and her siblings — Bob, Marilyn and Lindy — also represented the United States in World Cup, world championship and Olympic events. Several of Cochran-Siegle’s cousins also have skied at national-team level. The family’s involvement in skiing stemmed from the decision of his grandparents to build a ski area — of about 300 vertical feet — at their property in Richmond, Vermont. Barbara Ann Cochran was in Are to watch the race. “I was texting with my mom just letting her know what time the start was,” Ryan Cochran-Siegel said. “But I think she just said, ‘Good luck.’ I’m sure I’ll see her before the second run. Of the slalom specialists, Marco Schwarz is best placed in 21st, 1.25 seconds off the lead. Defending champion Luca Aerni is 0.02 ahead of Schwarz and favorite Alexis Pinturault was 1.52 behind Paris. The winner of the event is determined by adding the times from one high-speed downhill run and one shorter slalom leg. The slalom will take place at 3:30 p.m. local time (1430 GMT). 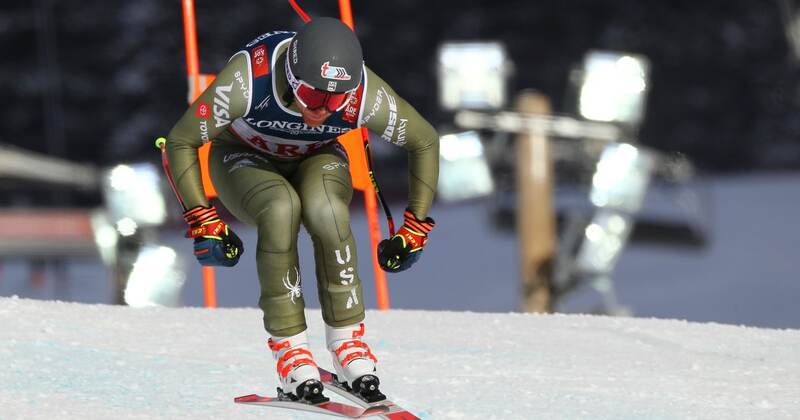 Marcel Hirscher, the defending Olympic champion in combined and a previous world champion, decided not to enter so he could focus on the giant slalom and slalom at the end of the week. The downhill leg was delayed for about 20 minutes after Chilean skier Henrik von Appen crashed. He skidded on an icy section about a third of the way down the course and landed on his left side on top of his skies, before sliding down into the safety nets. Medical staff tended to him. It wasn’t immediately clear what type of injury he may have sustained. Von Appen could be heard screaming after he crashed. The combined is under threat as the International Ski Federation decides on the future of Alpine skiing’s original Olympic discipline, which was introduced at the 1936 Games. FIS could replace Alpine combined with parallel slalom racing at future Olympics and world championships.